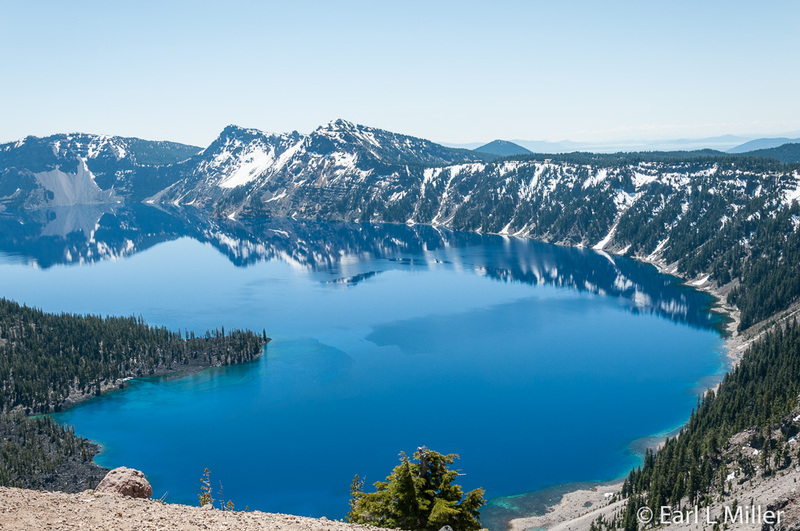 Crater Lake National Park is a national landmark that visitors to Southern Oregon should try and see. At 1,943 feet, it is the deepest lake in the United States and ninth deepest in the world. This fresh water lake is one of the clearest found anywhere. 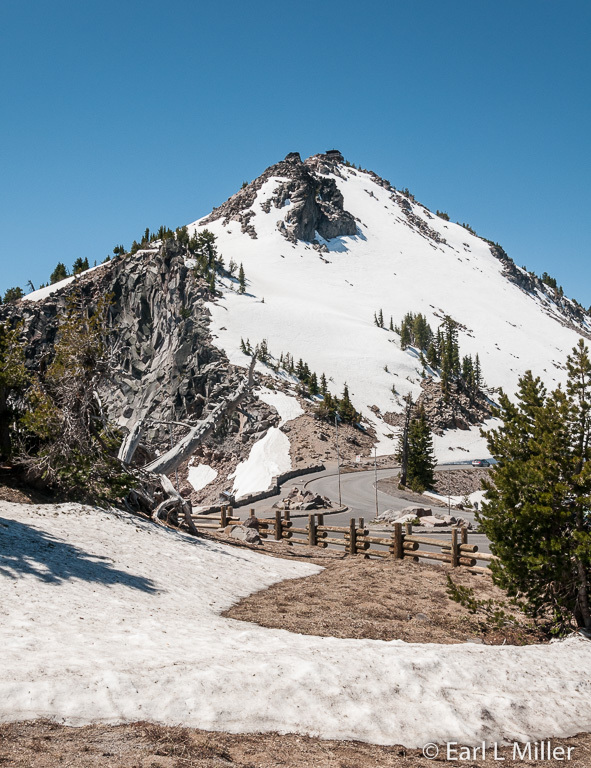 However, unlike other national parks, because of Crater Lake receiving 44 feet of snow annually, half of this park does not open until mid July. By mid October, many of its roads and viewpoints close again. However, even after learning this, we drove there from Bend. We found its beauty and serenity worth a visit even in May. Mount Manzama is part of a chain of volcanoes extending along the Cascade Range from Lassen Peak in California to Mount Garibaldi in British Columbia. 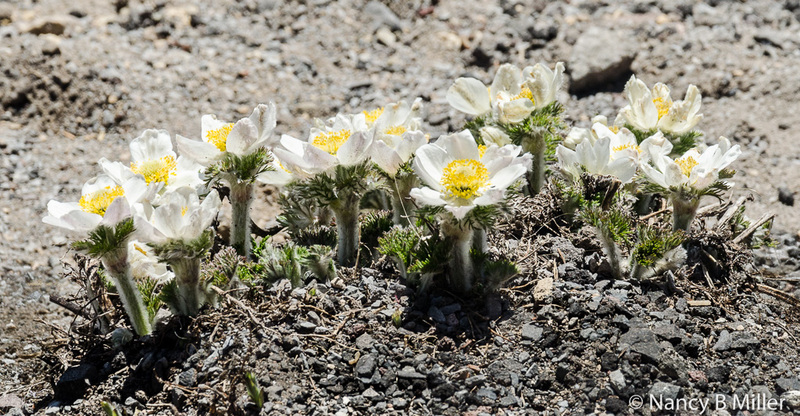 Mount Manzama began growing half a million years ago. The oldest rocks, visible today, 420,000 years old, form Mount Scott on the Crater’s east side. The mountain violently erupted approximately 7,700 years ago. In all, about 12 cubic miles of material poured out of the volcano, draining the magma chamber beneath it. The volcano’s walls started to collapse inward. A mountain top created over hundreds of thousands of years disappeared within a few days. After the mountain’s collapse, minor eruptions occurred inside the newly formed caldera. Today Wizard Island, a small volcanic island, sits of the lake’s west side. This cinder cone rises 767 feet above the lake. A crater rests on its summit, 300 feet across and 90 feet deep. There is another volcanic cone, Merriam Cone, hidden from view, underneath the lake’s surface. Crater Lake resulted from the precipitation the caldera received over hundreds of years. Evaporation and seepage of water through its rocks maintains the lake’s level. It averages more than five miles in diameter and is surrounded by steep rock that rises 2,000 feet above its surface. Because Crater Lake is filled almost entirely by snow fall, it is one of the world’s clearest lakes. No streams or creeks flow into the lake carrying dissolved minerals or dust. Seepage removes minerals that have dissolved in the lake. Scientists, using a reflector called a Secchi disk, commonly record clarity readings at Crater Lake of 120 feet. On June 25, 1997, they recorded a clarity reading of 142 feet. The lake’s temperature varies between 32 and 66 degrees Fahrenheit. Its surface rarely freezes. In fact, the last significant freezing was in 1949 when the entire lake froze for more than three months. 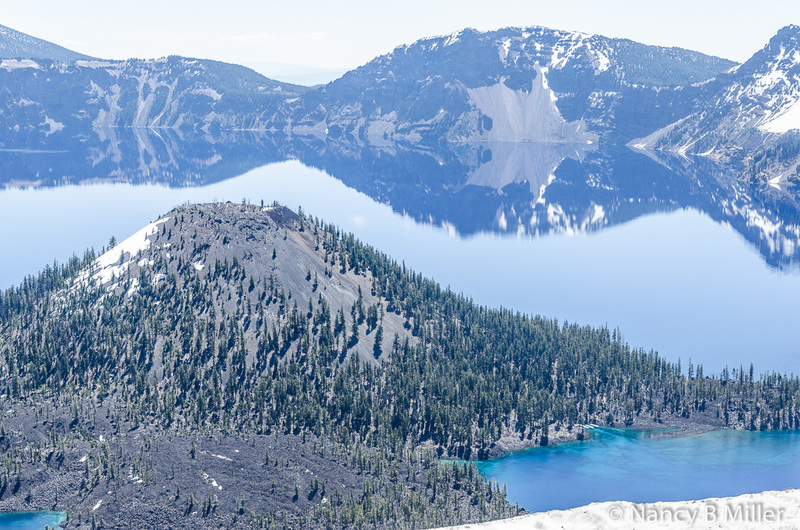 Visitors find Crater Lake’s color to be a deep sapphire blue. The color is due to its great depth, the purity and clarity of the water, and how solar radiation interacts with water. In the deep lake, unabsorbed blue light reflects up to the surface. Around the lake’s edges, where the water isn’t as deep, unabsorbed green light is reflected. 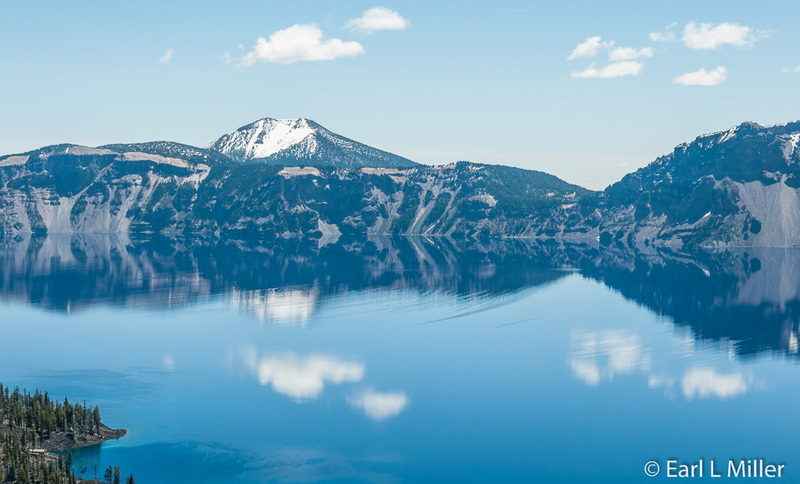 Crater Lake’s color varies, day by day, depending on wind, cloud cover, and the sun’s angle. Crater Lake does have aquatic life. Between 1888 and 1942, the federal government introduced more than 1.8 million fish into the lake. Today, rainbow trout and kokanee salmon still live there. Since the fish are not native, the park allows summer fishing. 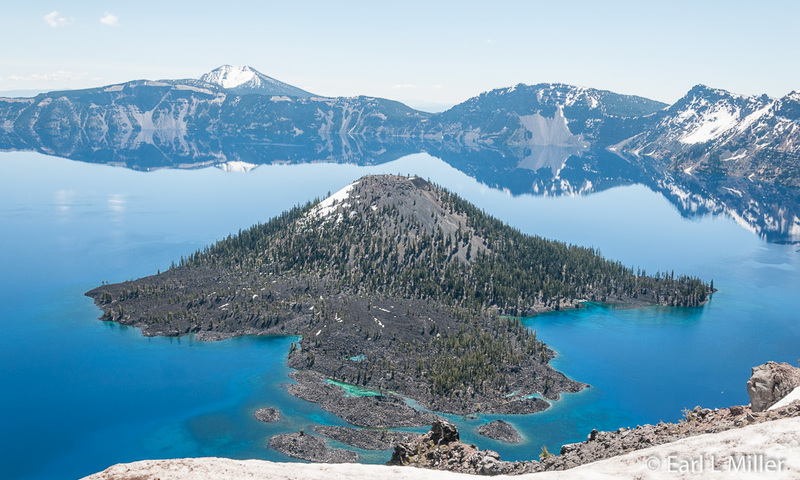 Scientists have identified 157 different species of phytoplankton and 12 species of zooplankton in Crater Lake. The lake’s low nitrogen restricts the density and diversity of these forms of life. Large colonies of thick, green moss encircle the lake at depths of between 100 and 400 feet. The lake’s unusual clarity allows moss to thrive at depths found nowhere else. The area has a Native American component to it. The Makalaks lived in an area southeast of the park’s present site. Archeologists discovered 75 sagebrush sandals from a cave near Fort Rock, Oregon, buried beneath a layer of Mazama’s ash. This indicated to the scientists that ancestral people witnessed this event. The Klamath Indians, who are the descendants of the Makalak people, relate oral stories about accounts of the mountain’s eruption. Even today, the Klamaths conduct private ceremonial activities at the lake, including vision quests. The lake is still sacred to most Native Americans of Oregon and northern California. In July 1989, the Jacksonville newspaper editor, Jim Sutton, and others, decided to explore the lake by boat. Five people reached Wizard Island spending several hours exploring the cinder cone. Sutton wrote an article calling it “Crater Lake." A young Kansan, William Gladstone Steel, in 1870, unwrapped his lunch, from a newspaper. As he ate, he read the article about the lake. Two years later, Steel’s family moved to Portland. In 1875, Steel’s dream of seeing the lake came true. He decided it should become a national park. Steel’s proposals to create a national park met with much resistance from sheep herder and mining interests. 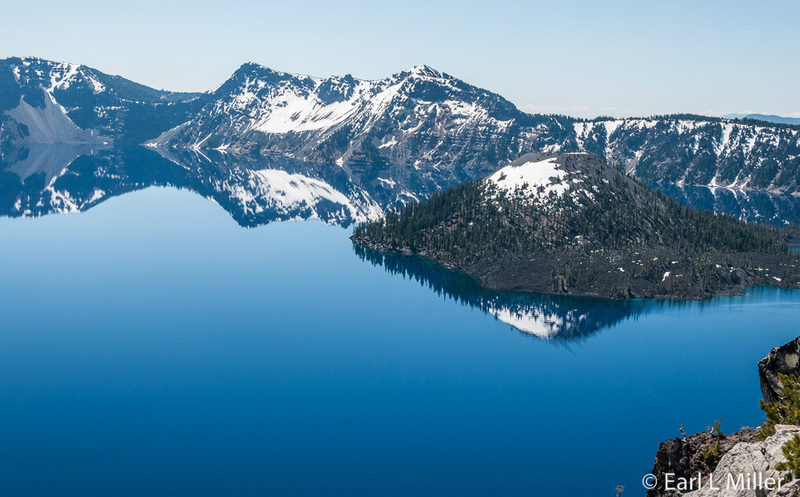 However, in 1893, the lake received some protection as part of the Cascade Range Forest Reserve, and on May 22, 1902, Crater Lake became a national park. 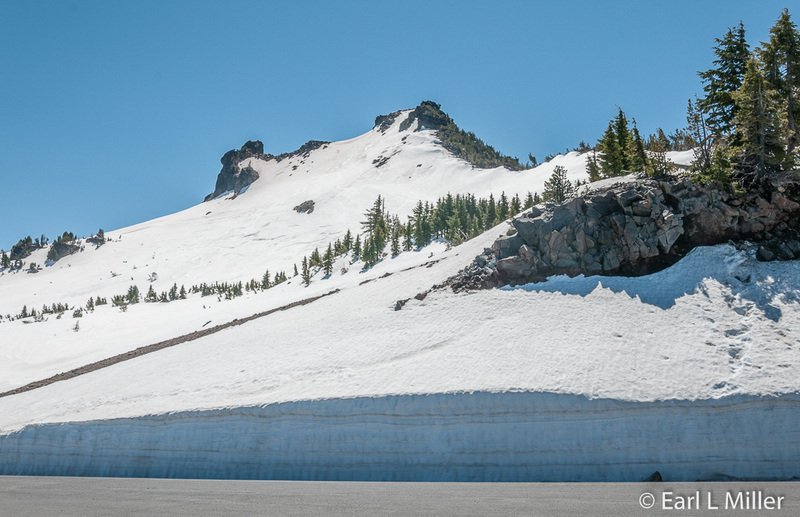 Driving around Rim Drive’s 33-mile route with over 30 overlooks is a great way to see Crater Lake. However, to see all of this, plan on touring in July or August. When we went in mid May, the eastern half of the drive was closed due to snow. We did see Discovery Point first viewed by Hillman in 1853 from the back of a mule. We also stopped at Watchman Overlook for a great view of Wizard Island. However, we were forced to miss overlooks I would have liked to have seen. We hope to run over to Crater Lake one day in August when we are staying in Eugene. So stay tuned. This includes Pumice Castle Overlook, a layer of orange pumice rock which has eroded into the shape of a medieval castle. It’s touted as one of the park’s most colorful features. 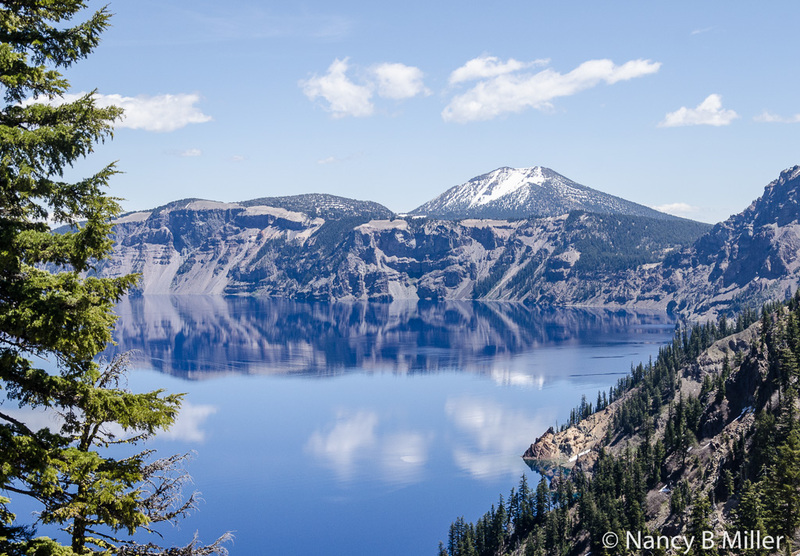 From Phantom Ship Overlook, visitors can see Crater Lake’s other island. Resembling a small sailboat, the island is the height of a 16-story building. At Pinnacles Overlook, visitors view 100-foot spires that have eroded from the canyon wall. It’s at the end of a 7-mile detour from Rim Drive. Vidae Falls, dropping over 100-feet over a series of ledges, is found between Phantom Ship Overlook and Park Headquarters. 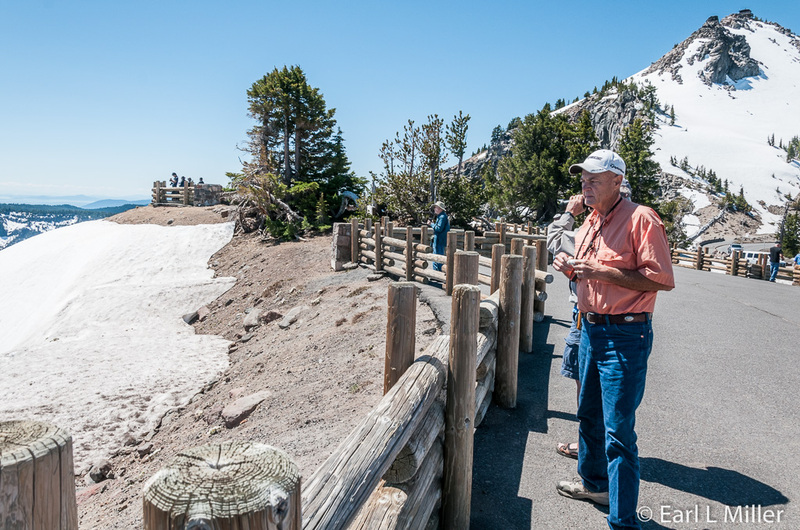 Starting July 1, park visitors can tour Crater Lake on Ranger-guided trolley trips around the park. These start and end at Rim Village, spend two hours encircling the lake, and stop at a minimum of four scenic overlooks. Resembling old streetcars, the buses are climate-controlled, wheelchair accessible, and seat 25 passengers. Ticket sales start at 9 a.m. for the first trolley which departs at 10 a.m. These run on the hour between 10:00 a.m. and 3:00 p.m.Tickets for any time frame can be purchased up to 24 hours in advance. Fares are $27 for adults, $24 for seniors, and $17 for children ages 6 to 13. Those ages 5 and under can ride for free. For more information and to make reservations, call (541) 882-1896. A two hour cruise is available for those willing to ascend and descend the steep and strenuous Cleetwood Cove Trail down to the lake.The hike is not advised for those with heart, breathing or walking problems. It’s 1.1 miles each way dropping 700 feet in elevation. The trail usually opens in late June and closes in late October. Each boat holds 37 passengers. 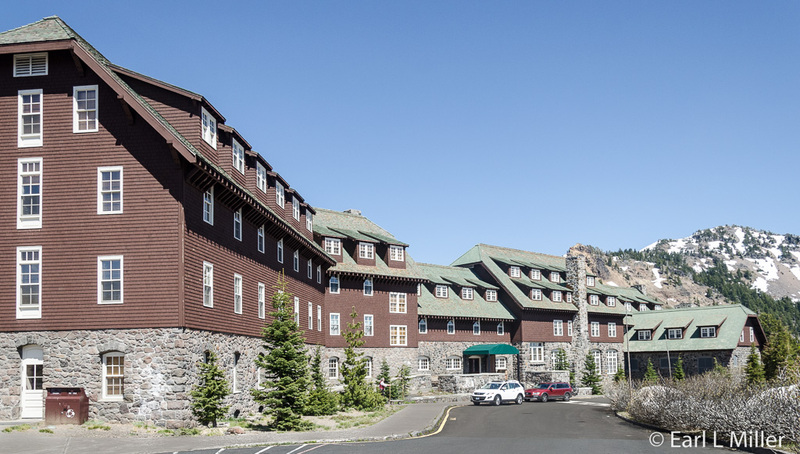 Twenty tickets are available for advance purchase while the remaining 17 for each tour are available from kiosks inside the Crater Lake Lodge and Annie Creek Gift Shop. Ticket prices are $35 for adults ages 13 and up, $45 for adults with Wizard Island drop-off, $21 for children ages 3 to 12, $27 for children with Wizard Island drop-off. Up to 74 tickets a day are available for those wishing to disembark at Wizard Island halfway through the tour. Those are for the 9:30 a.m. and 12:30 p.m. departures. Six other tours do not stop. Walking up is the equivalent to climbing 65 flights of stairs. The park has two visitor centers. 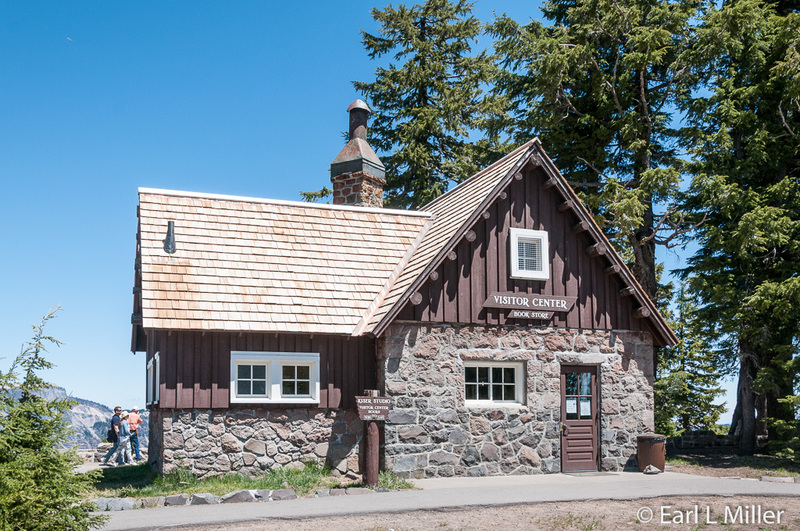 Steel Visitor Center houses a bookstore, has rangers available for questions, and shows a new 22-minute film “Crater Lake: Into the Deep” about the lake’s significance. The film is shown on the hour and half hour from 9:00 a.m. to 4:30 p.m. 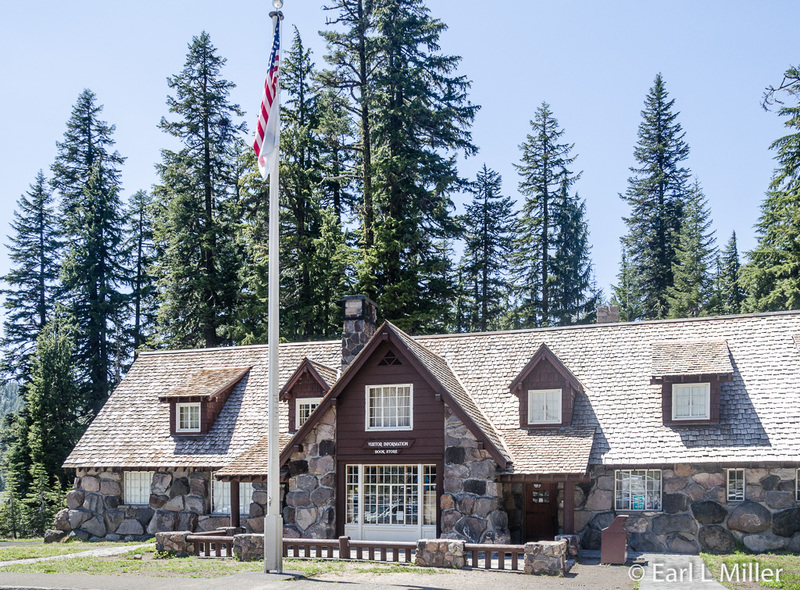 The Rim Visitor Center has a bookstore and rangers. Behind this center is the Sinnott Memorial Overlook which was not open when we were at the park. Overlooking the lake, it features an open parapet and a museum containing multimedia exhibits highlighting the geology and lake research. When open, it hosts daily 20 minute ranger programs twice daily from July through Labor Day. 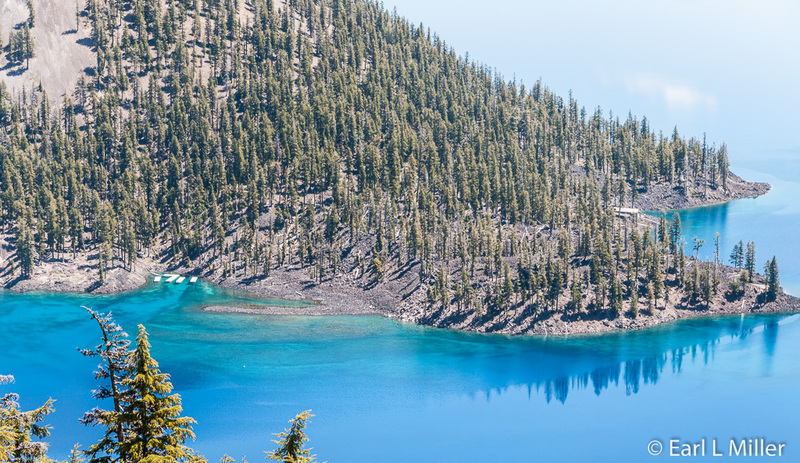 Crater Lake offers a variety of hikes at different levels, ranging from easy to strenuous, and for different lengths, To learn about these, read the newspaper you receive when you enter the park. Ranger led activities include evening programs at the Mazama Campground Amphitheater, talks at Rim Village, and a Junior Ranger program for ages 6 to 12. The park also offers Ranger led daily afternoon and evening hikes. Rim Village Café - open year round. It serves lighter fare. 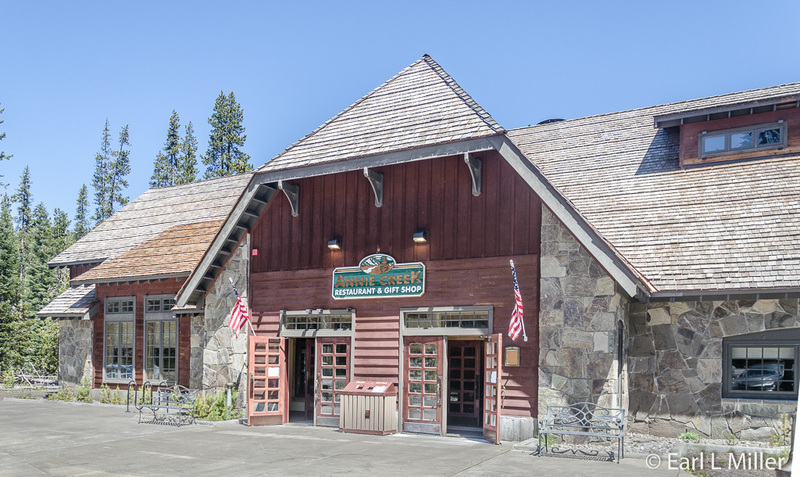 Annie Creek Restaurant (At Mazama Village) - open late May to early October for breakfast, lunch, and dinner. Options include gourmet burgers, a soup and salad bar, and pizza. Crater Lake Lodge Dining Room - open daily for breakfast, lunch, and dinner from mid May to mid October. It features fine dining with a menu featuring Northwest cuisine made from local ingredients. The fee is $15 per automobile (Good for one week.) They do accept Interagency passes.